As beaders in the internet age, many of us have our favorite websites to shop from, but sometimes it really pays to look a little deeper to find the real gems. 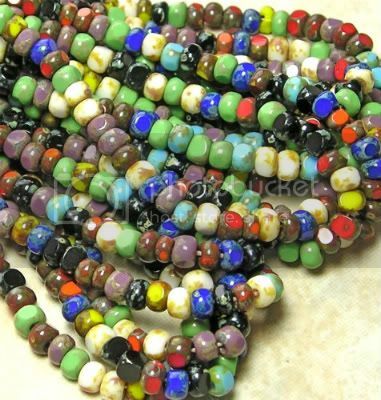 Small suppliers often have a unique and varied selection of our favorite bead types, so we can get exactly what we want, in plenty of shapes and colors to spark creativity. One of my favorite places to browse is Beads and Babble, a shop which specializes in unique glass beads, liked Czech pressed glass and seed beads. The seller, Shannon, has a great eye for shapes and colors that make bead and jewelry creations stand out! Shannon: Well, about four years ago, I decided I wanted to work for myself doing something I loved and with the support of my wonderful family (my husband and three sons). I did just that. I couldn't be happier I did. It's one of the best decisions I've ever made. Shannon: The genuine customer service you receive from start to finish. Its nice to feel like you're not just a number or another PayPal transaction. 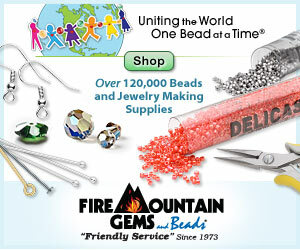 Inspirational Beading: Do you have a favorite material, color or bead style to keep in stock? Shannon: You're asking a self-proclaimed bead addict to choose a favorite? Oh, dear that is impossible. One of my favorites is the Picasso finish because it has a wonderful way of blending with all sorts of media. It’s extremely versatile. Shannon: The quality, unique selection, experience and personalized customer service. 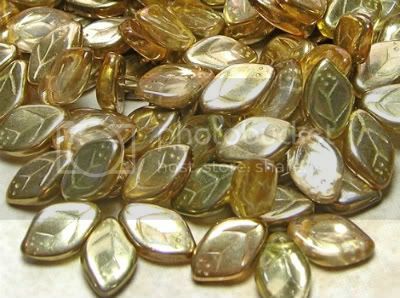 Inspirational Beading: Many beaders are familiar with the emotion that comes from selling a finished design. How does it feel when you well something that will become a beautiful work of art? Shannon: One of my favorite parts of my job is receiving pictures of finished pieces from my customers. I often post the pictures in my bead listings to showcase the amazing talents of my customers. I have the honor of supplying beads to extremely talented artist/beaders. Shannon: I love making bracelets in numerous different styles. Lately I've been making the leather wrap bracelets for friends and family. They're easy and fun---a great way to relax. Inspirational Beading: Baggies, tubes or hanks? Which is your favorite? Shannon: Personally, I prefer hanks. Strung beads are less likely to spill. 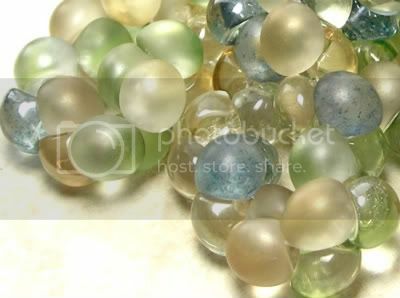 Inspirational Beading: Do you have any plans for new products in 2011? Shannon: Oh, yes! I'm constantly adding to my inventory and I plan to attend some of the larger wholesale shows this year so I can hand pick beads. In the future I would like to add a bigger gemstone selection to my store. 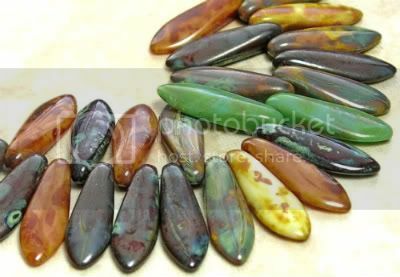 You can see more fantastic hand picked beads and supplies by Beads and Babble on ArtFire and Etsy. Great feature! I love Shannon's shop. Will have to check this one out! Love those daggers.